The tyrannical Alliance continues its war against the Republic of Cinnabar, and Daniel Leary, newly promoted to Commander, and his crew have a new mission: stop Dunbar's World from falling to an invasion by the planet Pellegrino. Nataniel Arruns, son of the dictator of Pellegrino, has landed with a large contingent, intending to set himself up as the ruling warlord, with the planet's population becoming serfs of the Pellegrinian overlords. I love all of these books. The narrator rocks it. I've loved all the books in the series. The author is excellent at characterization, the battles are edge of the seat. It does get tiresome being constantly reminded that Tovera is a snake and why Adele (sp?) is the way she is, but I expect that's because the author has written the books to be read in any order. We are finally allowed to see Ivan without Miles. Finally Captain Vorpatril gets his day in the sun! 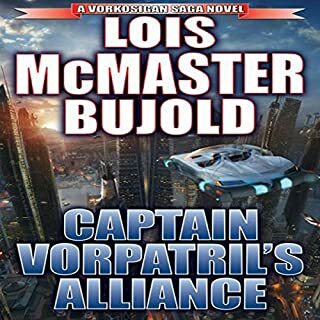 I looooooove Lois McMaster Bujold's series about the Vorkosigans and their friends! Absolutely I would recommend this one, it was wonderful to learn more about Miles' good looking cousin and his momma. 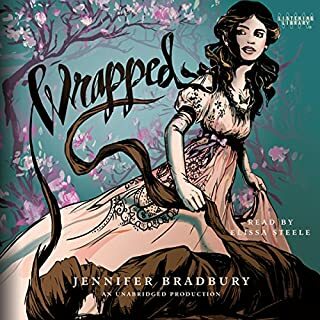 These books are thinly disguised Regency romances with some space opera thrown in, and wonderfully sharp-witted dialogue. Absolutely engrossing! With strong female characters and unexpected plot twists. LMB is one of my favorite all-time world-builders. What was one of the most memorable moments of Captain Vorpatril's Alliance? When Simon Ilyian is waiting at the headquarters building to see it blow up. I loved it! 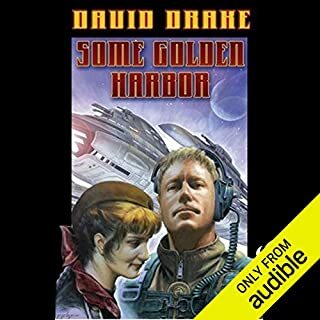 I wasn't sure if he could do as good a job of building the Captain's character, because Grover Gardner's voice IS Miles Vorkosigan for me, in fact I've never read any of the books - only listened to them - but he was amazing. 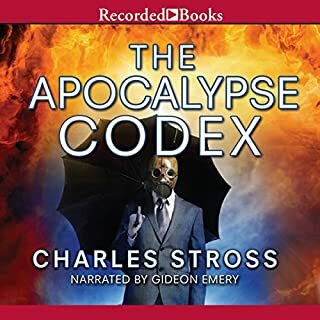 What made the experience of listening to The Apocalypse Codex the most enjoyable? 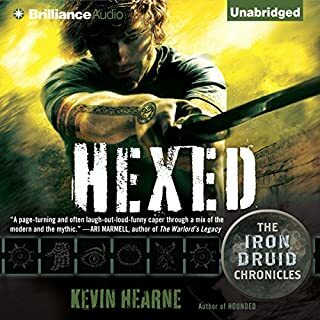 The narrator's voicing of Bob Howard keeps me downloading these books. What was one of the most memorable moments of The Apocalypse Codex? There are 2 scenes in the book where Bob isn't actually doing something for the case: When Bob's wife comes home from a terrible assignment and she isn't able to speak about it because of the gag order, Bob loses his s**t with his boss at work. When he and his wife have dinner with 2 of her friends and Bob can barely handle normal human interaction. Both are great scenes. What does Gideon Emery bring to the story that you wouldn’t experience if you just read the book? I don't think I could read the book without hearing Mr. Emery's voice in my head - he IS Bob for me. Yes, I was doing a 6 hour car drive. Got to the end of the drive, and hadn't finished the book, so I was impatient to get back on the road just to finish hearing the book! Once presided over by a flamboyant Hollywood mogul during the Roaring ’20s, the magnificent West Coast property known as Roseland is now home to a reclusive billionaire financier and his faithful servants. And, for the moment, it’s also a port in the storm for Odd Thomas and his traveling companion, the inscrutably charming Annamaria. In the wake of Odd’s most recent clash with lethal adversaries, the opulent manor’s comforts should be welcome. But there’s far more to Roseland than meets even the extraordinary eye of Odd, who soon suspects it may be more hell than haven. 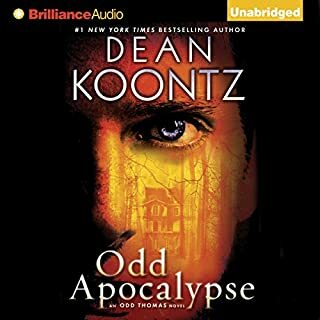 If you could sum up Odd Apocalypse in three words, what would they be? I've found the last few Odd Thomas books to be overly surreal. We don't start with anything approarching a normal life - Odd goes from strange event to strange event. It's hard to really connect emotionally to him, he has very little interaction with other characters and is detached from the world. As the plots get more bizarre, that detachment is making it harder to grab my interest - it took me a long time to get through this book because the events were just so grim, and I wasn't connecting with any characters. The story line with the boy who can't leave the mansion is fairly horrific, I won't discuss any further to avoid spoilers but listening to his stories about his grim life made it difficult to keep listening at times. I know that my response is going beyond answering the question - it isn't that I'd change the basic plot, what I would like is a little more human - and humane - interaction between Odd and other people. If the author allowed Odd a little more interaction with regular human beings, it might also enable him to gain perspective on the loss of Sunny, his one true love. It's hard for me to suspend disbelief when a 19 year old young man - who seems fairly healthy and therefore should have hormones raging all over the place - declares he will never love another woman, and doesn't even look at women as potential sexual partners or dates. Very one-dimensional characterization. David's voicing of Odd's character is spot on. I think he captures the essence of Odd's character perfectly. His spacing and timing are awesome. He wrings out humor from lines where Odd has made everyone around him a straight man. 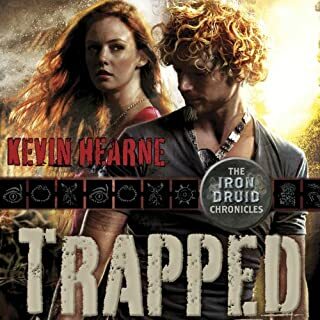 Despite my overly negative review, I do enjoy the series, and this book had many interesting moments - it was just that I kept thinking, "How are they going to get out of this one?" and "What in the world is going on, did I miss a few minutes of the book?" Acclaimed author Jennifer Allison’s popular Gilda Joyce mysteries have been recognized with an Edgar Award nomination and starred reviews from School Library Journal and Booklist. 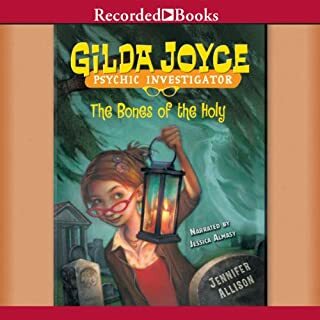 In The Bones of the Holy, the 13-year-old psychic sleuth is in St. Augustine, Florida, to solve two truly puzzling mysteries: Why has her mother suddenly decided to marry an antiques dealer who looks like a walrus? And who is the woman in white haunting the man’s house? What was one of the most memorable moments of The Bones of the Holy? Gilda's self-analysis of why she doesn't want her Mom to get married - and her friend Wendy's comments about how Gilda doesn't like any of her Mom's boyfriends - offered an insightful look into how the loss of her father has caused Gilda to look for ghosts to prove she hasn't lost her father completely. On a less serious note, the travelogue letters she had to write to Mrs. Rabideaux were HILARIOUS! Which character – as performed by Jessica Almasy – was your favorite? Gilda Joyce is my favorite character. Jessica does an absolutely fantastic job of voicing Gilda. The emotion, the excitement, the mannerisms, the way she starts off letters on the typewriter ("From: Gilda Joyce. To: Gilda Joyce!") makes me laugh every time. The scene with Gilda helping her neighbor (her "little psychic sister") to overcome her fear of seeing ghosts with a St. Michael's candle was quite touching. Gilda of course was not being sentimental, she was trying to get the girl to dish the dirt on the Lady in White, which makes it funny! I've enjoyed all of the Gilda Joyce books. I'm not a youngun, I'm in my 40s, but the books are fun and funny. I'd like to see Gilda starting to mature a bit, to look beyond herself and show an interest in other people besides how they can help her investigations. Even her interactions with her best friend Wendy and Gilda's brother Steven are always about how they can help Gilda. She doesn't do anything that isn't related to an investigation. Would you listen to Trapped again? Why? Yes, it would be worth it just to hear the narrator talk through Pirun and Oberon's lines! What was one of the most memorable moments of Trapped? Any time Oberon claims he has been a great hound and deserves bacon...Just makes my day. Too many to pick just one, although the tattoing sequences were a lot of fun. I love these characters and have listened to every book in the series. The characters are flawed anti-heros, or better to say, the moral compass by which they live is slightly skewed from our modern American views of right and wrong, ethical and unethical. 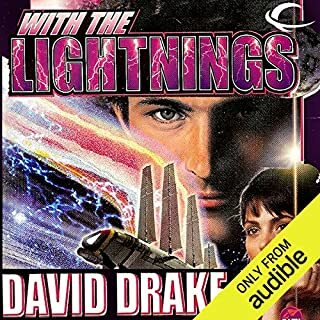 Drake has done a great job of world-building, creating an Imperial culture of aristocracy, purchased commissions in the military, landowners vs peasants, pocket universes and high tech gadgets (pocket-sized computers controlled by wands with holo-field displays) paired with steampunk-style space ships (sails, signals, and space suits, oh my). The narrator speaks with a sort of breathless hush - like something is always about to happen - but I swear, you get used to it and then you look forward to it, and then it just becomes part of the background. Seriously, who would NOT enjoy these books? I've listened to them twice - and I never do that with audiobooks. The one small issue I have with this story is Atticus seems to so blithely ignore being all but told "if you kill Thor, it will destroy the world." It doesn't seem to jive with how he has approached problems in the past books. But I went with it, figuring Mr. Hearne will explain it in a future book. I'm glad the author wrote a longer story this time, and can't wait for the next book - there are so many loose ends to tie up! The narrator used a British accent but it felt almost stilted or forced. The story seemed to lack an essential spark, found it hard to keep paying attention. It's not a bad story, just not a very exciting or interesting one. I'm 2/3rd of the way through and keep having to take breaks from it to listen to other stories. Perhaps this one works better for the YA audience than the non-YA audience. Another very funny (I laughed so hard I swerved onto the side of the road) book, with great character moments. 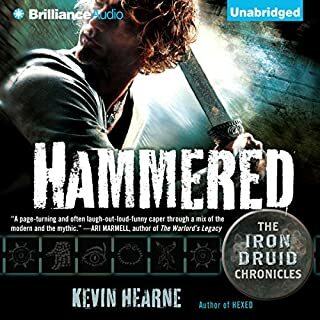 I gave it 4 stars because the scenes with the cops seemed more Keystone Cops than they needed to be, and some of the words are mispronounced, but we meet more wonderful characters and continue the worldbuilding. Atticus, Laksha, Oberon, the widow lady, Granuel (sp? ), Leif, Hal, etc are back. Atticus begins teaching Granuel druidic lore, and his ears seem to be a target for every bad guy. Oh, and Oberon always deserves a treat!